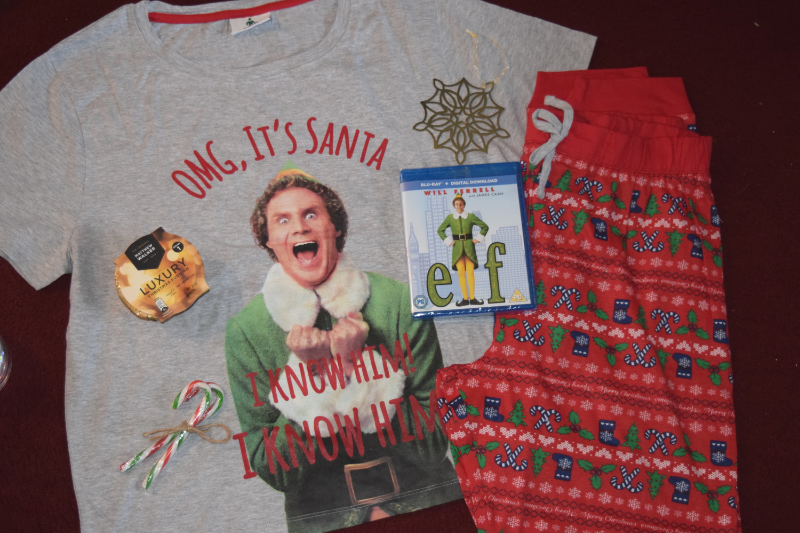 As part of my annual children's gift guide I have put together a list of items that I know my children will love. Some have been sent for review and others I have included as I have chosen them for my children personally. 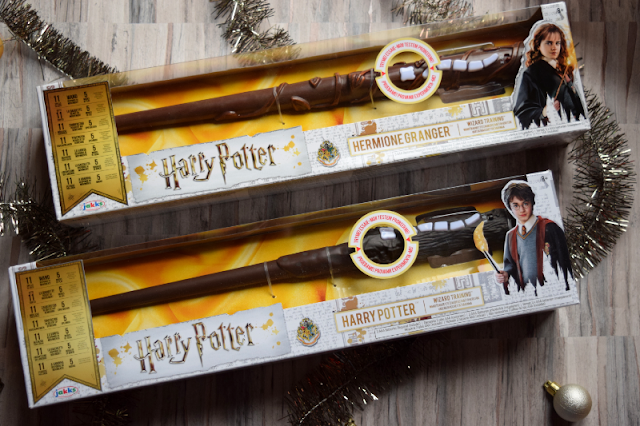 We are big Harry Potter fans in our house and were recently sent the Harry Potter Wizard Training Wands to review. They have been listed as one of the top 12 toys for Christmas 2018 and I can see why! 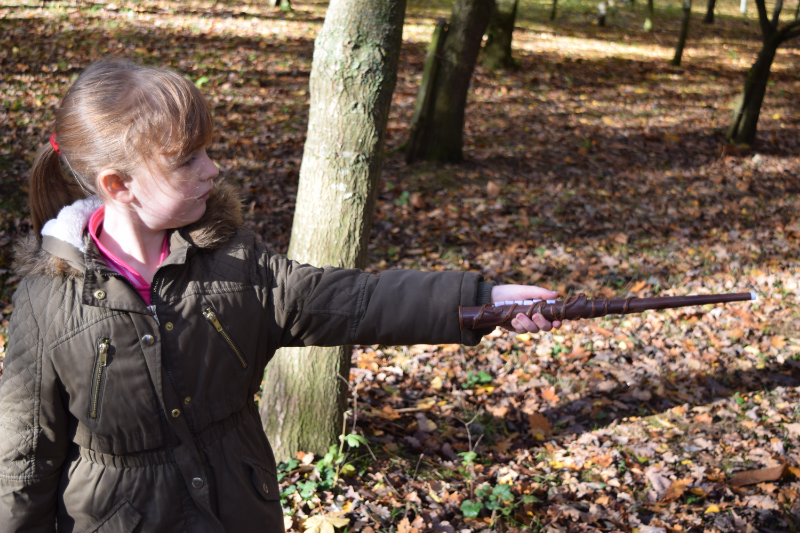 You can use them to cast spells or play a fun game of wizard tag. 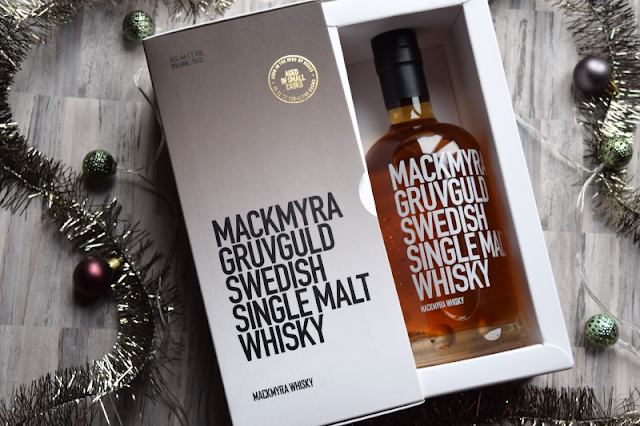 I've written a full review which you can read here. 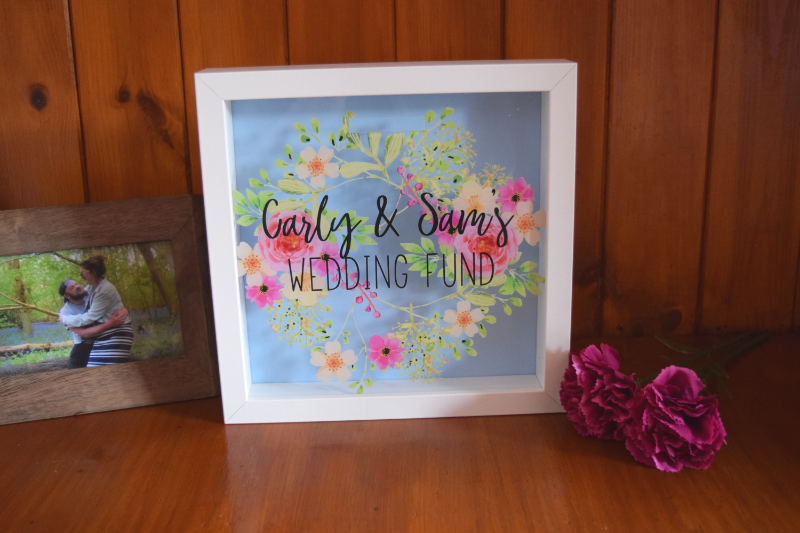 These have a RRP of £19.99 each with four designs to choose from. Impulse have a range of new Limited Edition Body Mists. They have the Go Get Glitter collection with Coconut Spritz + Glitter Bomb and Melted Candy + Unicorn Dust, both have sweet scents that make you think back to the fun of summer. Both scents are available exclusively at Superdrug with an RRP of £6. They also have their Instagram Stars collection with body mists designed by Sophie Hannah and Helen Anderson. Mermaid Waves + Peachy Paradise by Sophie Hannah and Violet Palms + Neon Nights by Helen Anderson are both more adventurous scents. These two are available exclusively at Boots with an RRP of £6. They would make a great stocking filler item for any beauty loving ladies. My kids love food activities. I however, struggle with having the patience to help them all when it comes to these kind of activities. 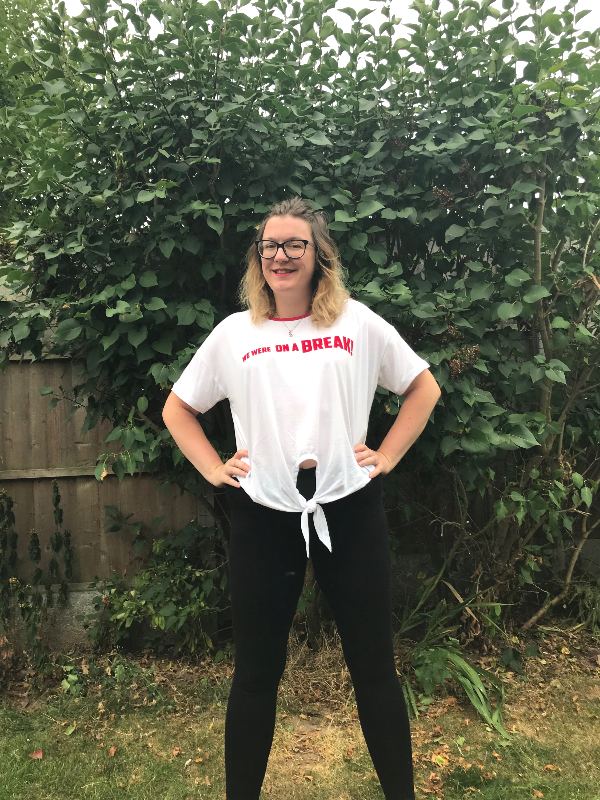 I can't even explain how much I love it when something easy to use without too many ingredients comes along and we actually manage to create something stress-free and fun! The Mr Frosty Choc Ice Maker is just that. 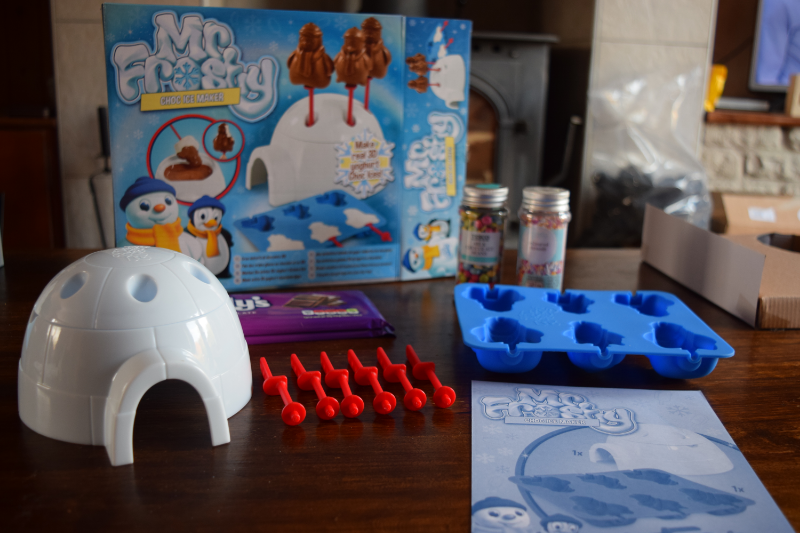 Included in the kit is; a silicone mould with penguin and snowman shapes, six reusable lollipop sticks and an igloo which can be use to melt the chocolate in with a lid that can stand the finished choc ices. It is as simple as that. You just need to provide the food items as and when needed. 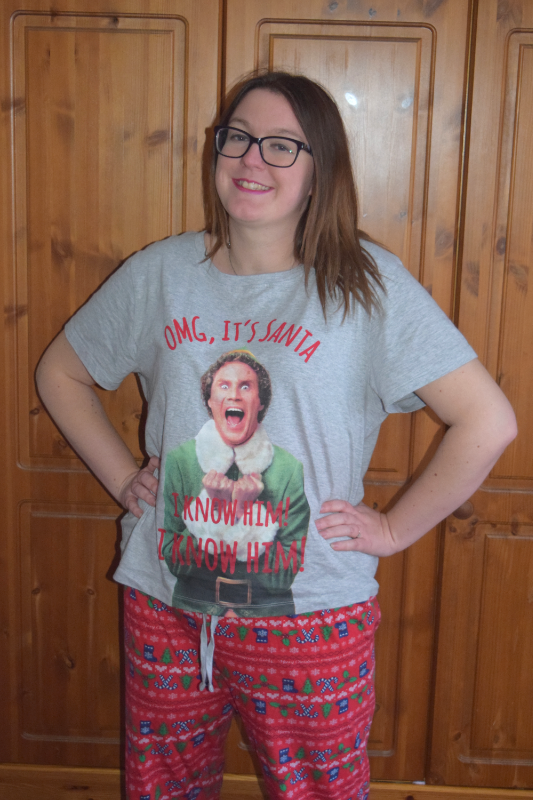 Back in September at Blog On Xmas, I came across the team promoting Little Dragons Cafe. My children are not big gamers, they struggle with so many games needing lots of assistance which I struggle to give as I suffer with motion sickness if I spend too long on any console! 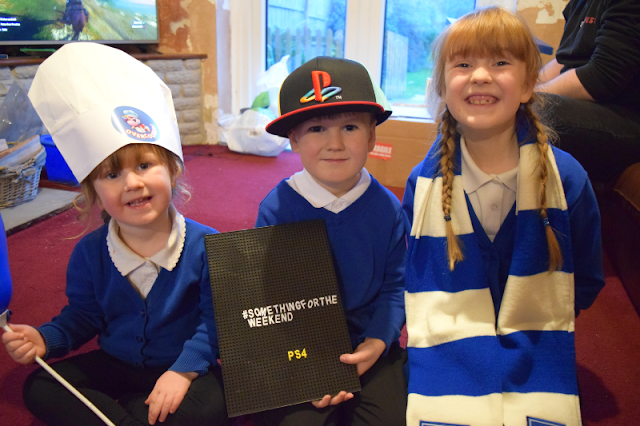 For that reason they usually only use the Playstation to watch Netflix but I thought this game looked perfect for them. Since buying our house back in May, we have had lots of work going on. We have had the whole house rewired, the roof repaired, leaks fixed and all sorts of other fixing jobs. We have finished decorating the boys bedroom with freshly painted walls and a new carpet. I have painted the Kitchen to give it a fresh new look. In 5 months we have achieved a lot but still have a long way to go. With Christmas coming up, we are desperate to have the girls' and our bedrooms plastered and decorated, before we start on our living/dining rooms in the New Year. We currently have just stripped walls and bare floorboards in the bedrooms so it will be amazing to have everything feeling so homely! October has been a mixed month. We have managed to get a lot more done in the house over the weekends and are feeling very much like things are finally coming together. We are almost ready to start decorating the rest of the bedrooms in the house, so fingers crossed we will all be sleeping in our own rooms again soon (hurrah). We managed a brief trip back to Coventry to see some family for the first time since moving. We didn't see everyone we wanted to though so will hopefully be back again soon. I have always loved Halloween. I remember trick or treating every year back when I was a child. 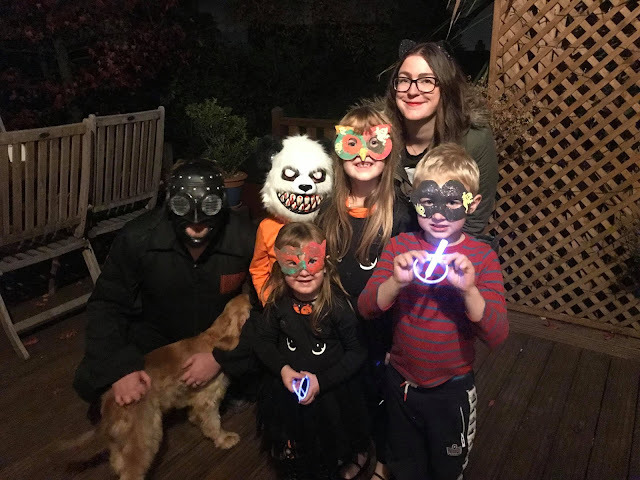 It usually involved dressing in a bin bag with a plastic witches nose and a supermarket carrier bag to hold any sweeties. My brother would be wrapped in numerous rolls of toilet paper which would rarely last the night or wearing a cheap silly mask. 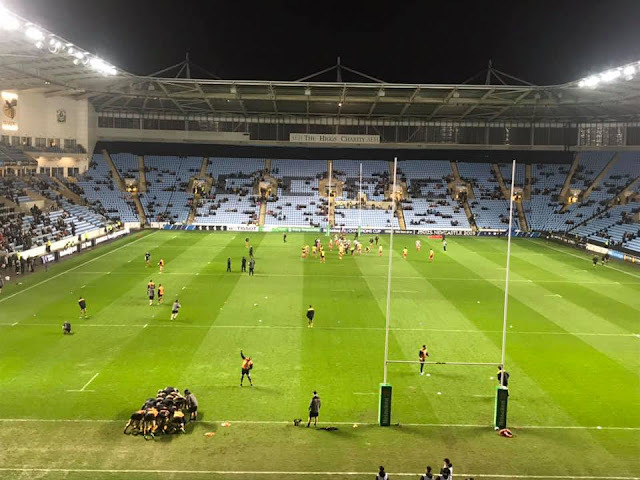 It definitely wasn't as commercialised as it is these days, yet with the surge of popularity, people seem to be much more vocal about their hate for it. 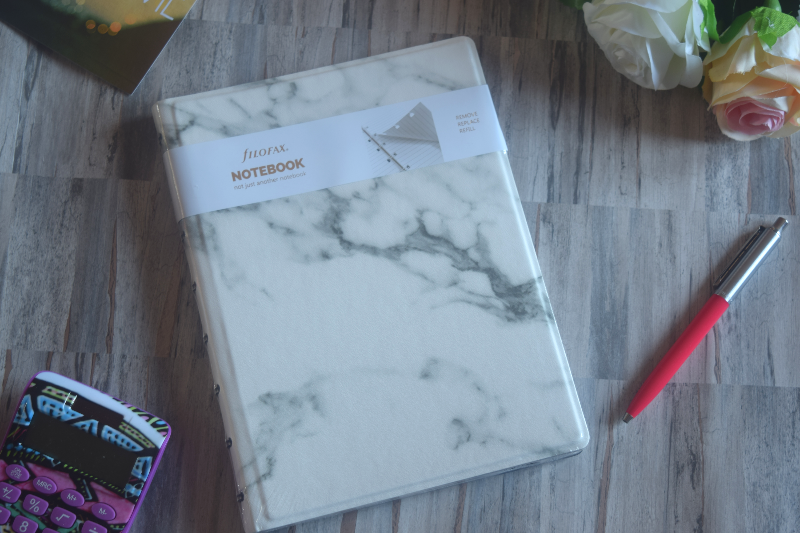 One thing that I love to have in my home is personalised gifts. I have so many little treasures gifted to me over the years by family and friends and I love displaying them around my home. I also love to buy thoughtful gifts for my loved ones and will always try to find something special for them on occasions. 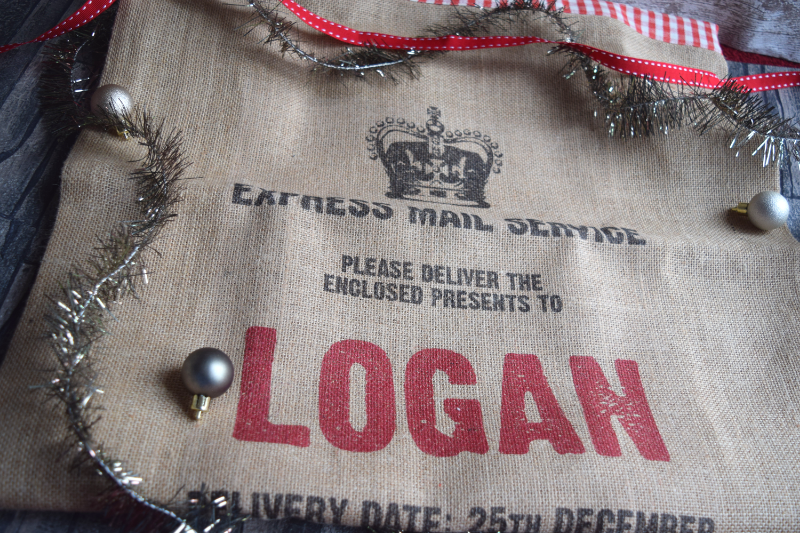 Made With Love & Sparkle make a large range of personalised gifts for everyone and I had the difficult choice of deciding on an item from their website recently. Wednesday was World Mental Health Day. I didn’t write about it because I had a bad day and the last thing I want to do on a bad day is write or do anything for myself. My blog is suffering at the moment because of the way I feel and I don’t know what to do about it. Sometimes I can pick myself up and feel motivated for a day or two but it doesn’t last long and I am back to square one again. In all honesty I feel worse at the moment than I ever have in my life. I thought moving away and having a fresh start would be good for me. I thought I would spend my days enjoying the country air and chatting to new mums at the school at pick up and drop off time. I thought I could reinvent myself and become a happier me. In reality, I have never felt more isolated and alone. In the five months since I have moved, I have lost almost all of my old friends and haven’t made a single new one. It is safe to say that I am a stress eater. Whenever I go through stressful situations I entertain myself with food. In the past year I have put on more weight than I would like to admit. Buying a house and all of the problems that come with being a homeowner has certainly seen me finding comfort in my food. However, I want to change that cycle and feel healthier in myself. 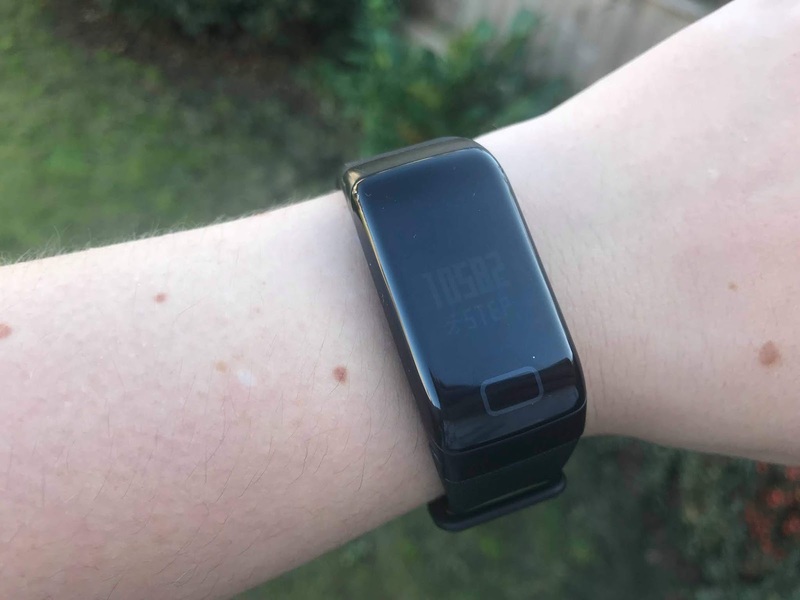 I have been using the FourFit Healthband to try and help myself keep track of my daily activity and my overall health. 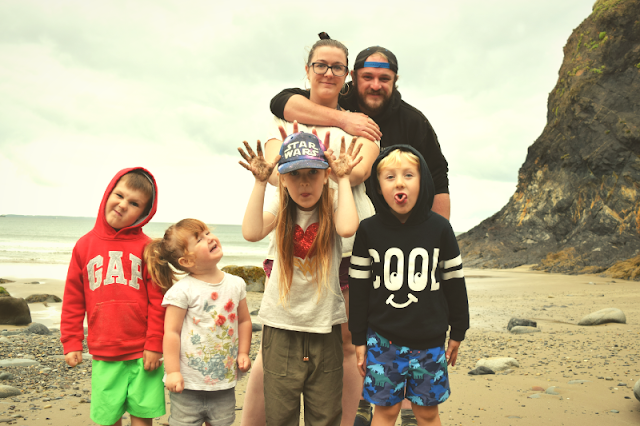 We went on a big family holiday to a lovely cottage in Pembrokeshire over the summer holidays. 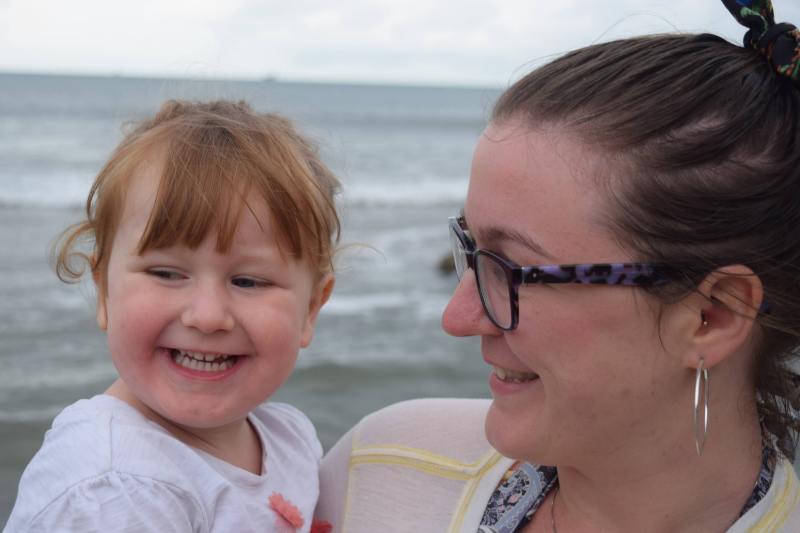 We weren't sure what the weather would be like whilst there but we were a short way from a lovely beach and made sure we took plenty of things to entertain the children. I decided to take along the Fab Lab Festival Face Tattoo set from Interplay. 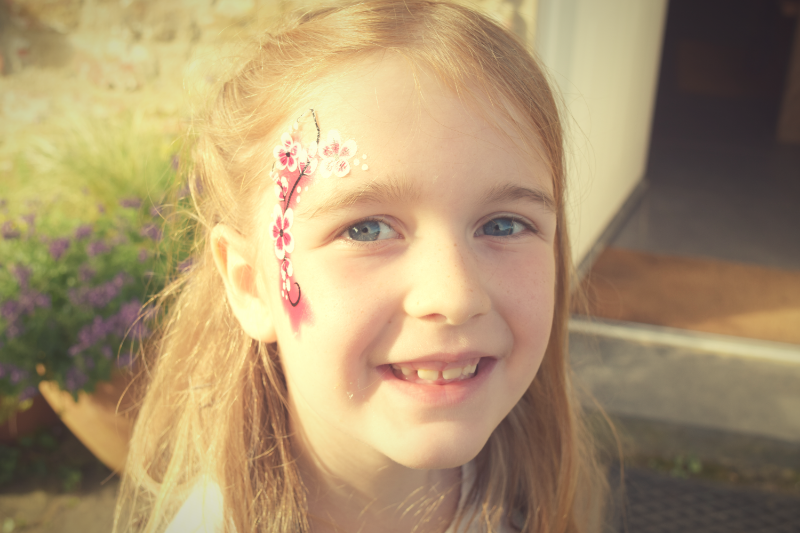 We were also celebrating Elsie's birthday while we were away and we thought it would be great fun to have a go at decorating all of their faces. Over the summer Gracie and I decided to do a few fun craft activities together. 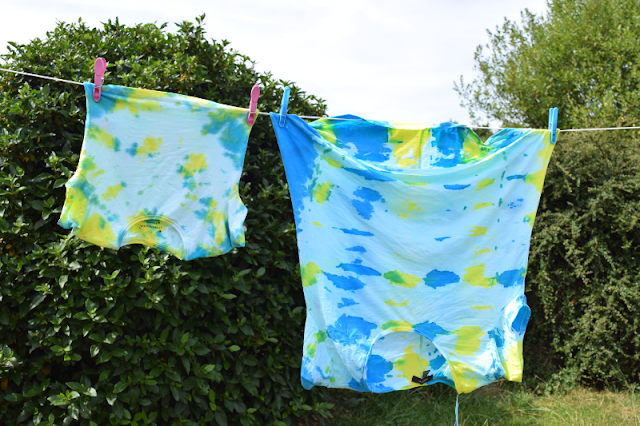 One of these was to have a go at creating our own tie dye t-shirts. We used the Fab Lab Tie Dye kit which comes with four different colour dyes, disposable gloves, a bag full of elastic bands and a full instruction booklet. We read through the instruction leaflet to see the different patterns we could make and decided to try out two of them. Marks & Spencer have recently opened up opticians in five of their stores, Westfield London, Manchester, Derby, York and Bolton. I was asked to visit the Derby store recently to test out the service. I booked my appointment online at www.mandsopticians.com for the weekend after they opened and headed to the store at INTU shopping centre in Derby. In just a few weeks the children will be heading back to school. There are a lot of nerves and excitement in our house about the prospect of the new school year. Gracie only had three weeks in her new school at the end of last term and it will be brand new for Zach when he starts Year 1 in September. 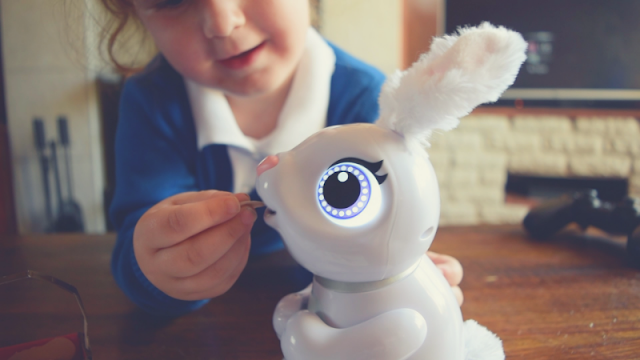 We are hoping Elsie will start shortly afterwards if a place becomes available for her in our new local school. With all of the stress of moving and sorting schools I have left a lot of my school shopping until last minute. 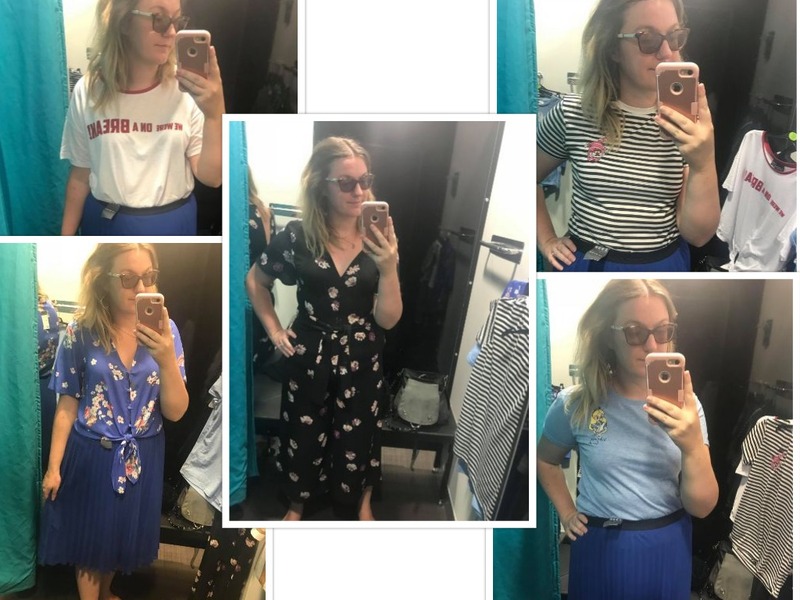 I grabbed most of the uniform last week in Sainsbury's while they had 25% off clothing. 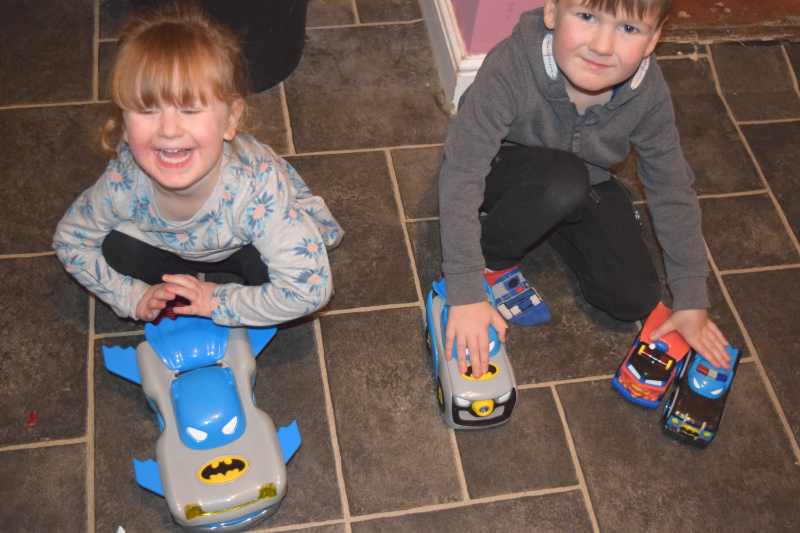 All three children have lovely new school shoes courtesy of Get The Label, you can take a look and read the review here. They have also received some lovely items from a few of our favourite brands which we wanted to share with you. In the picture above you will see Zach's amazing new personalised water bottle from itsyourstory. He got to choose a character from a wide range including a monkey, fireman, footballer, cowboy and many more but he chose the cheeky monkey because it was funny. 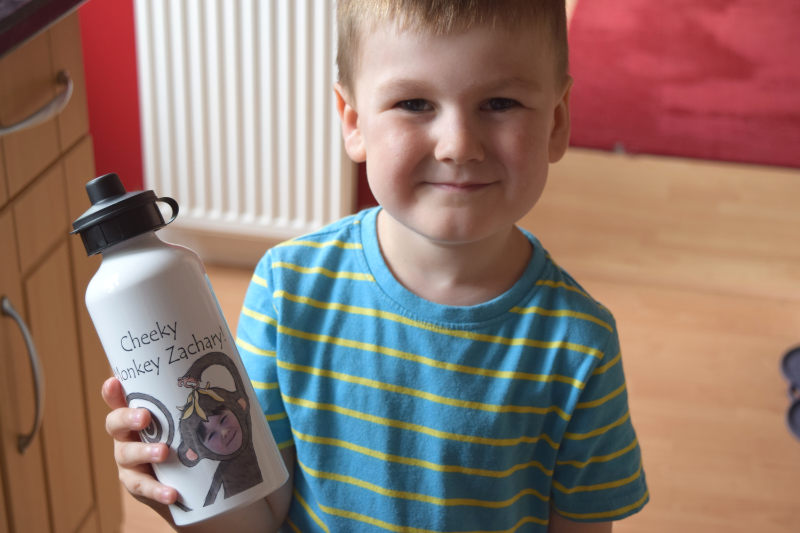 I uploaded a photo file during the order process and now he has his very own 'cheeky monkey Zachary' bottle. He absolutely loves it and can't wait to take it to school with him. 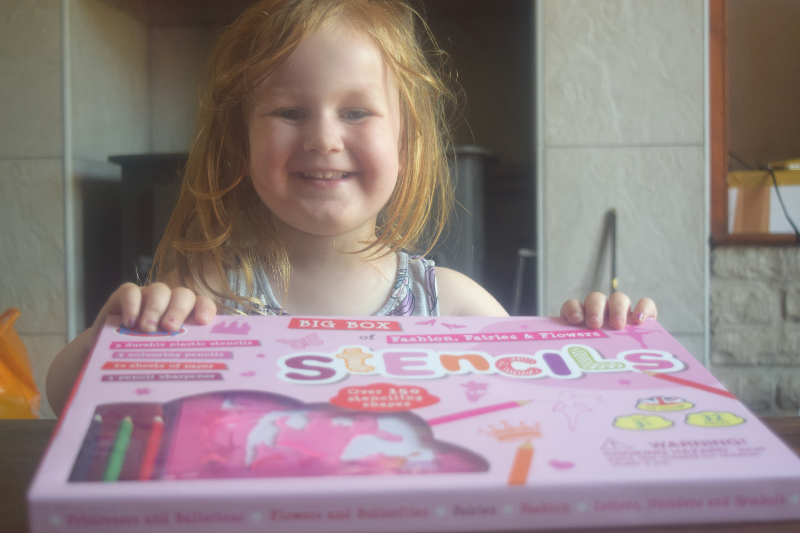 Gracie has been really enjoying creative writing recently so was amazed at the contents of our Smiggle delivery. 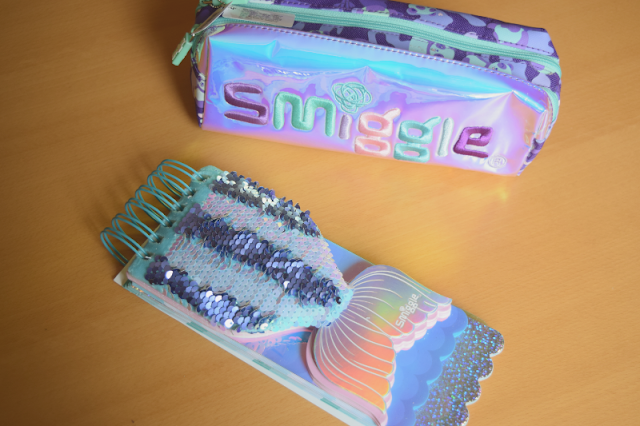 She now has a lovely 'Now You See Me Twin Zip Pencil Case' in purple to store all of her pencils and colouring pencils along with a lovely sequin mermaid notepad to jot down ideas and stories in. She seems to come home from school really inspired by what she is learning so it will be really nice for her to be able to come home and let her creative juices flow with her new stationery. 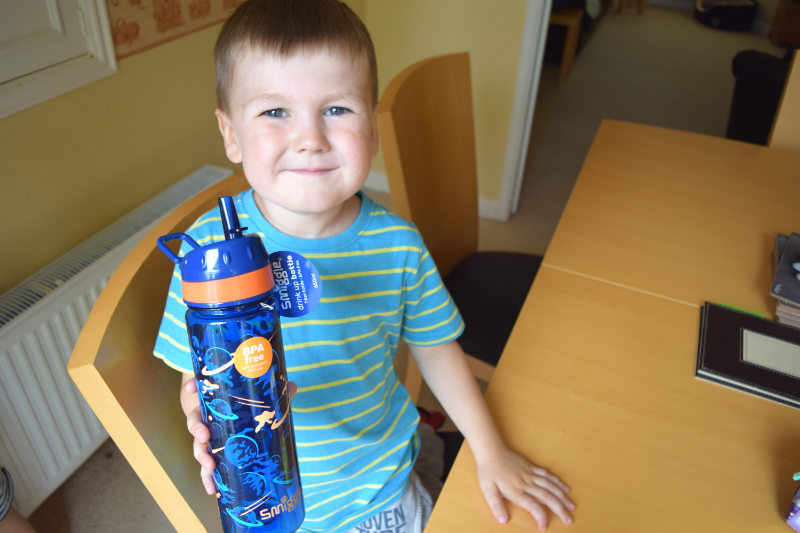 Another item from our Smiggle goody bag was this water bottle. Although Zach was photographed with it when it arrived, it seems Elsie has taken a liking towards it so has decided that as Zach has a water bottle already, she should have the cool space water bottle. This comes in lots of different designs and colours. All we need now is to get back in our house in time for the new school year and a phone call to say Elsie can start too! I hate school shoe shopping. Last year I had to go all over trying to find shoes for each of the children and it ended up costing me a fortune. 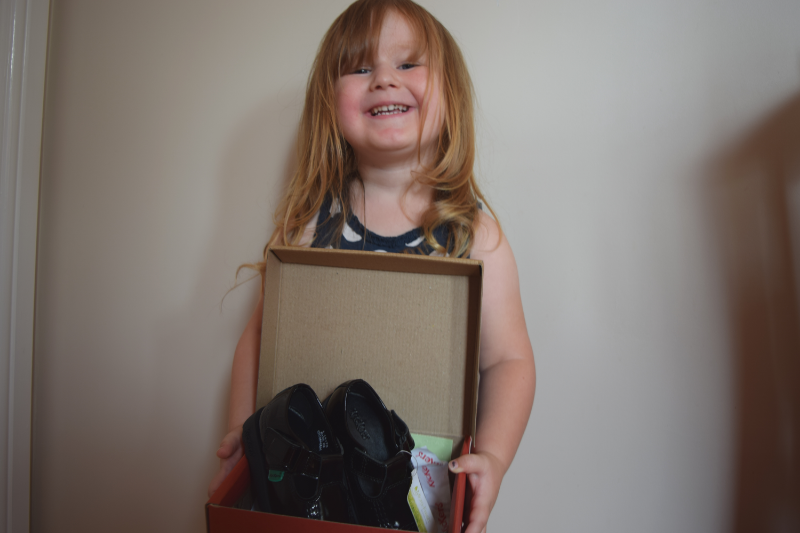 Elsie has teeny tiny feet so I had trouble finding her black shoes small enough and found that there were only two brands which sold black shoes in an infant size 5. 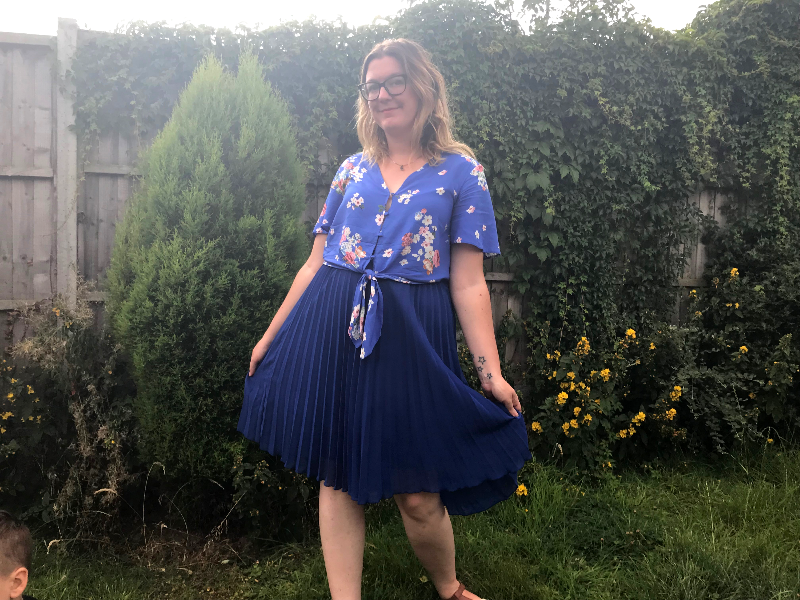 This year though I haven't had that trouble because I was contacted by Get The Label and to my utter surprise they had shoes that fit all three children and at great prices. Last weekend we spent two whole days clearing out a large section of our garden. We chopped down some trees and bushes to clear some very cluttered areas down the side of our sheds and have managed to create even more space in what was already a very spacious garden. We are so lucky to have such a large open garden and our plan is to really make the most of it. We have a patio area for seating and BBQ, followed by a grassy area for the children to play in, behind this again we have two sheds, a fruit patch, more grass and lots of bushes and hedges which we would like to cut back and replace with fencing. We still have a lot more to clear at the moment and I think it is going to take us a few months to get rid of it all but we have already been discussing ideas and plans for the future of our garden. 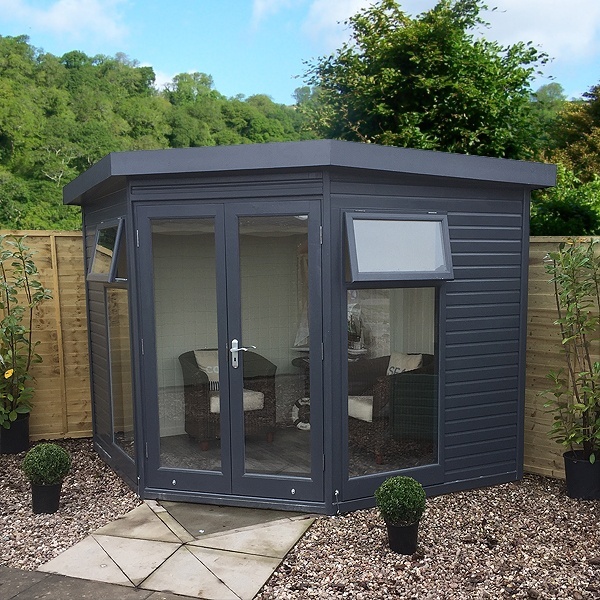 Both Sam and I have totally different hobbies, I like to write and he likes to play guitar, obviously the two don't always go together very well so we have been thinking about installing a summer house/shed in the garden for leisure use. 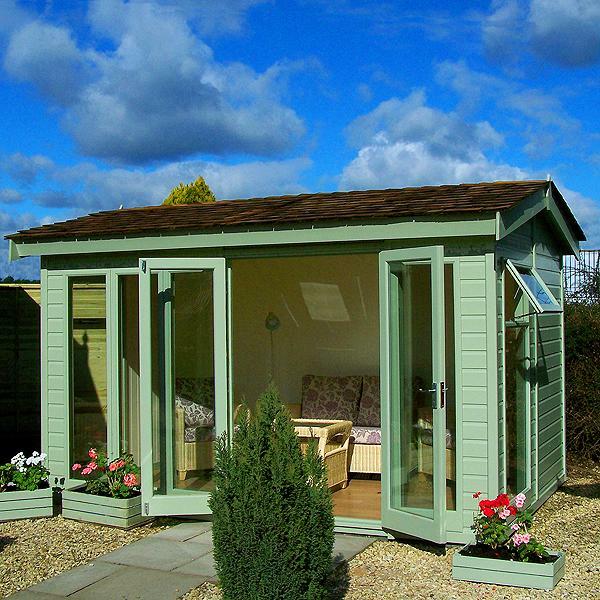 We already have a shed to store the lawnmower and tools etc. in and a smaller one for children's outdoor toys but it would be lovely to have an area to escape to for quiet concentration, or even a noise proof one to send him to! 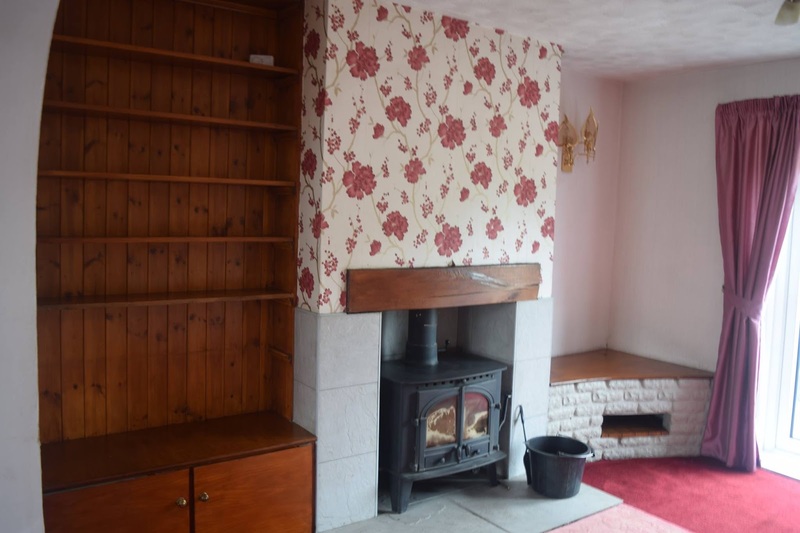 I would love a nice large one right at the bottom end of the garden, big enough for some comfortable furniture and with plenty of windows to enjoy the surrounding view. In fact it would be great for the Summer holidays while the children are playing outdoors most of the day too. I could get an hour or so of work done each day whilst keeping an eye on them at the same time. 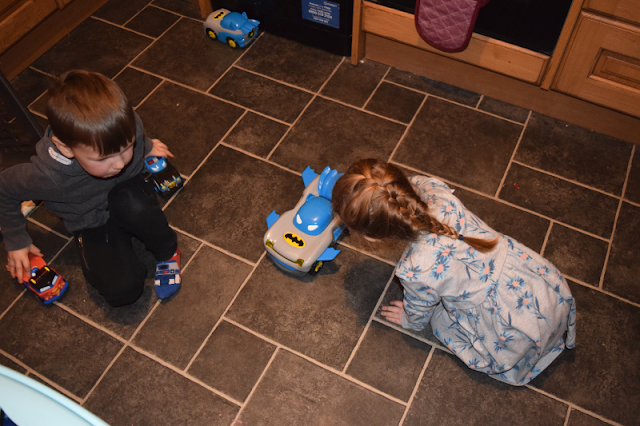 I find I have to work late at night in the holidays as it is so difficult to find the time whilst entertaining children. I have seen some great examples at www.gbcgroup.co.uk there are so many options when it comes to size and shape to suit each individual garden. I cannot wait to have our dream garden and with a bit of hard work and determination we will have just that in the next few years! July was a month full of adventures for us. We started it with a family trip strawberry picking at Scaddows farm. I had never been fruit picking before so it was one of my requests for the Summer and we all had so much fun picking and then eating the strawberries! Gracie started her new school at the beginning of July so we have been walking lots to and from the school on the school runs. We have also been involved in quite a few school activities already too. We went to watch her compete in sports day with her house team. We also went along to enterprise day where every class made something to sell or came up with a fun idea to raise money to go towards lots of new and exciting things for the school. Gracie's class made their own flavoured popcorn which we had to buy lots of as she was so pleased with herself. 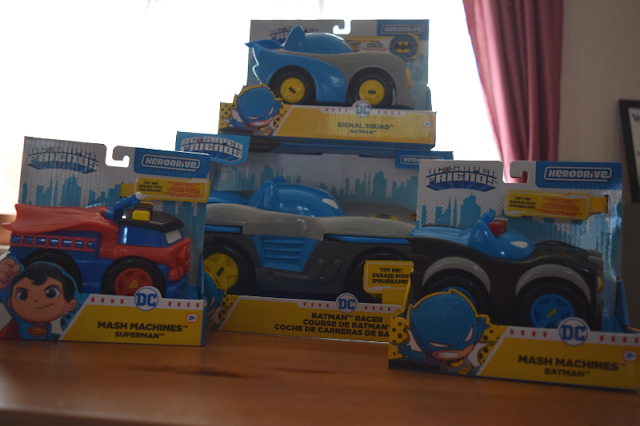 We went on a family shopping trip to Fosse Park in Leicester as part of a campaign which was really fun. I had to choose some summer outfits for myself and have my picture taken by a GIF machine. Thankfully the kids quite like shopping so I got some nice new clothes and we all got to have a browse around the shops and a bite to eat. 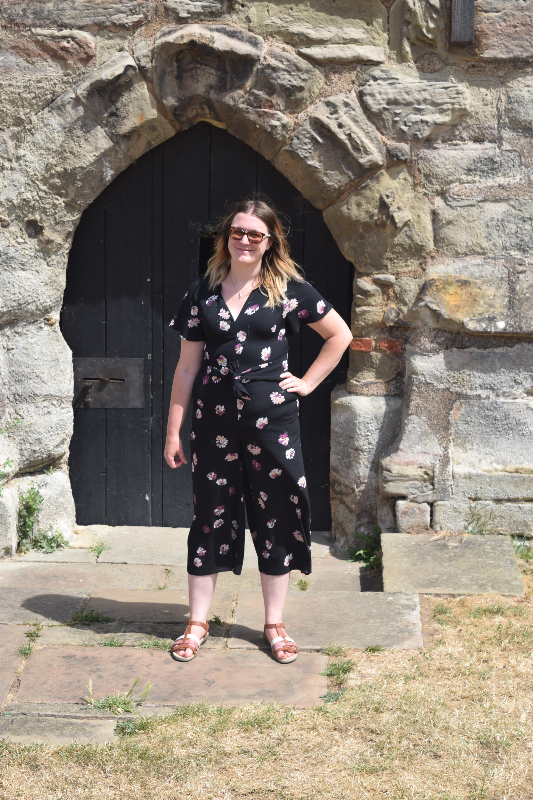 We also spent a day at Tutbury castle which is now quite local to us and a place Sam had wanted to take us. 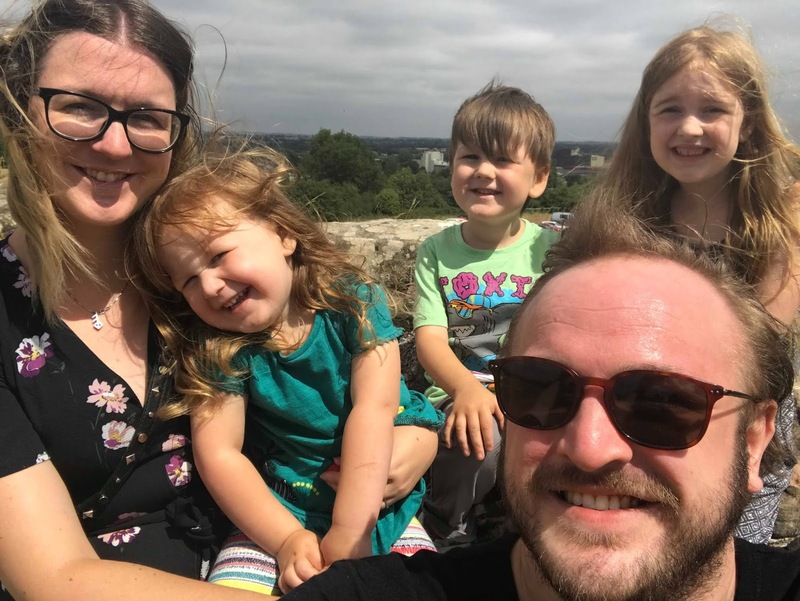 It was a lovely sunny day and the castle had free entry that particular day so we had a lovely low cost family day out costing us just the price of yummy ice cream. This months photo was a quick selfie we took whilst sat on the castle walls admiring the views around us. The sun was in our eyes so there are a lot of squinty faces but it is a nice photo to remind us of a lovely day out. We are now into the school summer holidays and we are looking forward to an action-packed August full of sun and adventures. I can't remember the last time we had such an amazing Summer and what better way is there to enjoy the sunshine than socialising outdoors with friends and family. 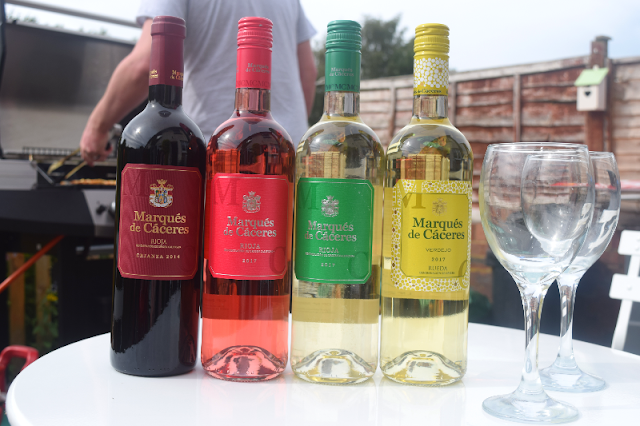 We have been enjoying a selection of different wines from Marques de Caceres over the past few weeks and have been sharing them with friends and family on various occasions. We have been having BBQ's most weekends since we moved into our new house and everybody loves a refreshing glass of wine on a summer evening with tasty food. 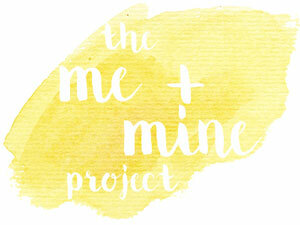 Everybody has their own taste when it comes to wine so I have been sure to see what others think as well as myself. I personally love sweet fruity wines and found the Rose was more to my taste than the others so was the first to be finished during our BBQ's. It had a very floral taste to it and wasn't as sweet as I would usually pick but it was full of flavour and had a nice fresh taste. The Blanco White was also popular amongst guests. It was very rich and dry so not really to my taste but I am in the minority when it comes to most of our family and friends as they prefer dry wines and tend to give me any that are too sweet for them. It worked out perfectly having a mix of wines to suit everybody. We have been in our new house about 5 weeks now. The first few weeks flew by as we were so busy unpacking and decorating the boys bedroom but things have calmed down a bit now and we are finding time to explore our new area. We are so lucky to be surrounded by so much greenery now and everywhere you turn there are forests and fields. 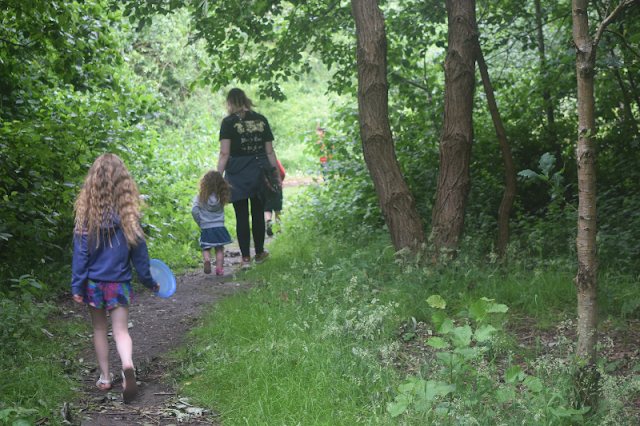 Towards the back of our house is a small forest area which is great for dog walkers and we have taken Dolly and Toby to play over there which the kids loved! 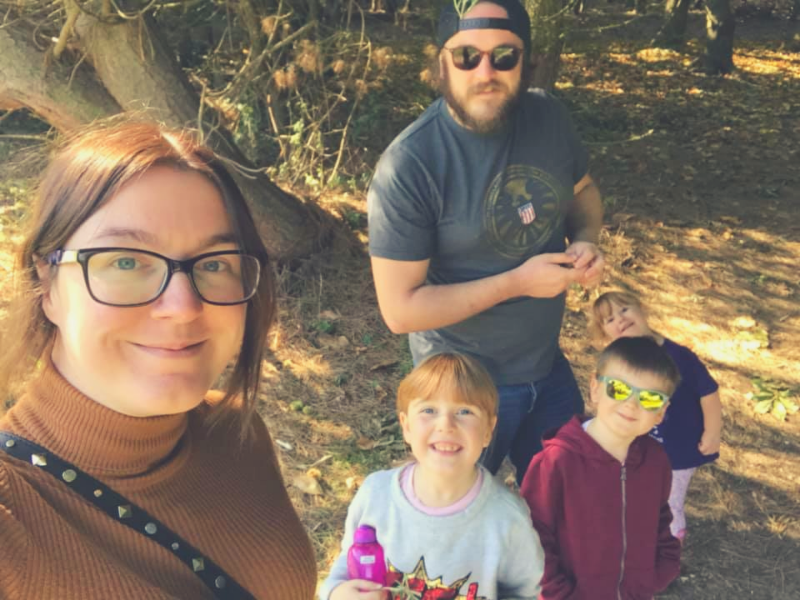 Further down the road from our house is a park and nature reserve which is probably one of my favourite places to visit locally. I have always wanted to go strawberry picking and have never got around to actually doing so. 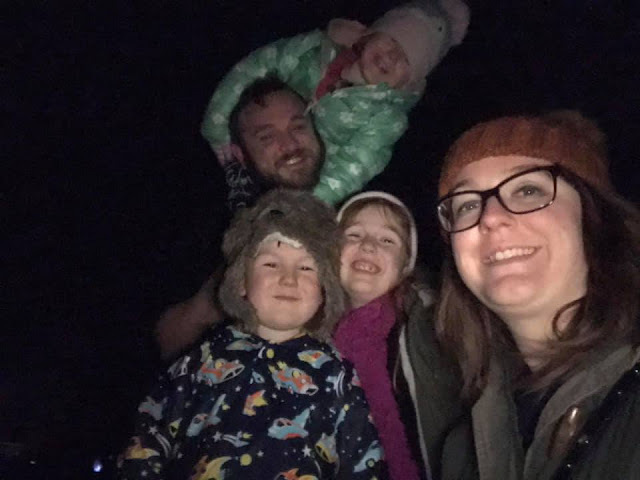 Despite the fact that we now have lots of other berries growing in our garden, I still wanted to experience a family outing to pick our own strawberries. Gracie is the only one of the kids who had done it before, the day that I went into hospital to have my C-section with Elsie, my auntie and cousin took Gracie out for the day for me and so she was excited to go and do it again. 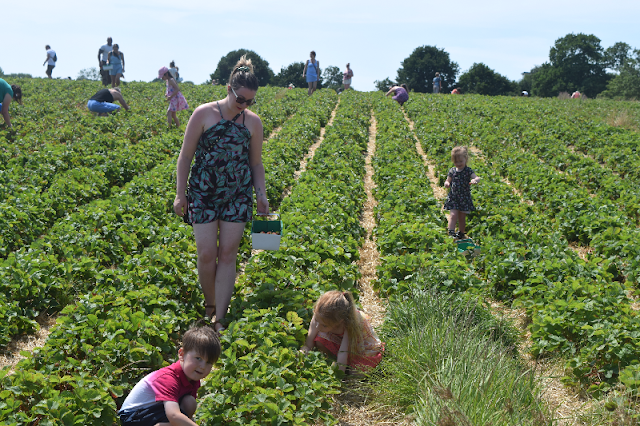 As we have moved, I did a bit of research on local places to pick your own fruit and came across Scaddows Farm in South Derbyshire where you can go to pick strawberries, raspberries, gooseberries, redcurrants and blackcurrants. 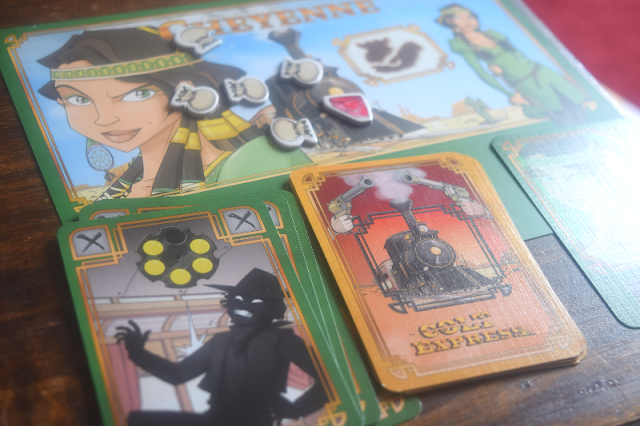 Our latest review for the blogger board game club is Colt Express. It's 1899 and the Union Pacific Express is headed north to deliver its payroll and forty-seven passengers. Suddenly the train is attacked by a host of thieving bandits aiming to become the richest outlaw of the Old West. In this game, players take on the role of the outlaws battling against each other to collect the most loot from the 3D train. 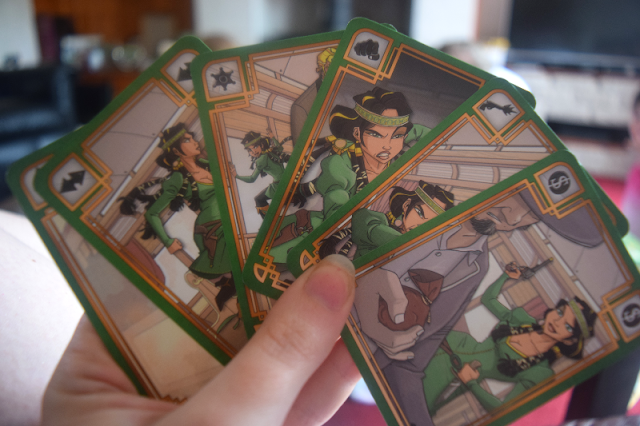 Each turn, players plan ahead by playing action cards to steal loot, shoot their opponents, move around the train, and elude the marshal's bullets. It is a game of both tactics and luck. If you have been shot too many times by your opponents you can end up with a hand full of useless bullets lowering your amount of action cards. The game can be played with between 2-6 players and is recommended for ages 10+. I'm not sure why that is the age guideline as we actually managed to play with both Gracie (7) and Zach (5). Gracie managed to play with no assistance and Zach needed a little assistance but we managed to have a few really fun games together as a family. I would definitely recommend it as a family game. It does take quite a while to set up the first time you play. You have to put together the 3D train with carriages and we did have the wheels on one of the carriages break which was a shame. 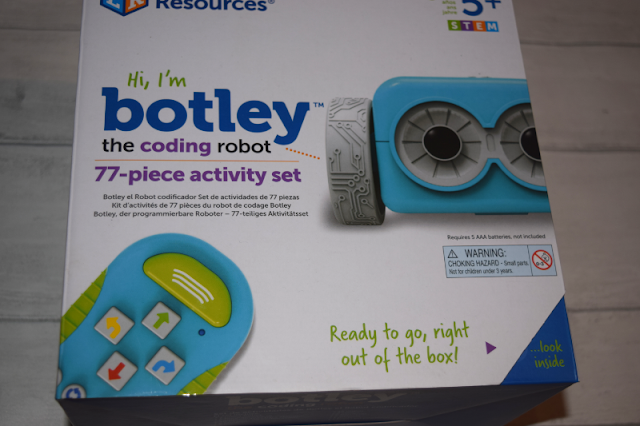 The box is set up so that you can store it built up though so the next time you play it doesn't require the whole set up again. 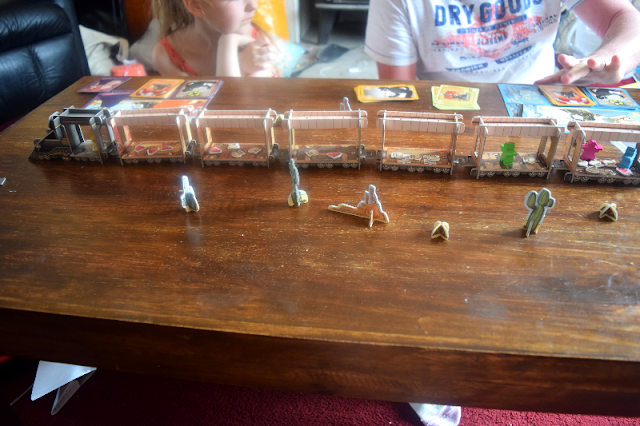 Once it is built you can add the money bags, gems and characters to the train ready to play. There are a few different rounds and each round a different person starts. The instructions are quite straight forward and there are advanced ways to play too to add a little more excitement to the game. Overall we really enjoyed this game. It is definitely one we will play regularly. 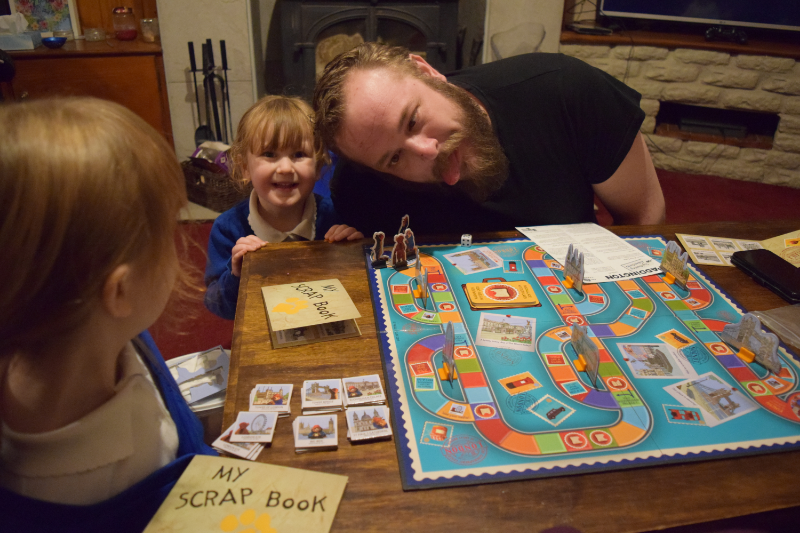 Any game that has all of the family laughing and enjoying time together is a win for me.